MoRpHeUz's Blog » I am part of the game! I am part of the game! There are several ways of being part of the KDE game: you can develop, translate, be an artist, help users, take care of our infrastructure, organize developer sprints. A lot of ways right? But some people just lack the time to join the game in any of the areas that I just listed but still want to contribute in some way to the project. 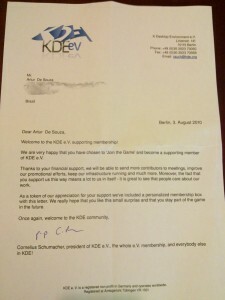 The “Join the Game” campaign was launched to create another way of contributing to the project: you donate some money to the project in order to help organizing developer sprints, to represent KDE on conference and trade shows, maintaining the current infrastructure and help the e.V. to legally represent the project in different manners. As soon as the campaign was launched I wanted to be part of it too because I know how hard it is to sponsor all the activities that we have and how important the activities are. 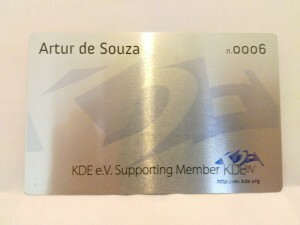 Some weeks after joining the game I received this awesome gift from the KDE e.V. 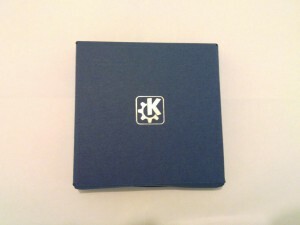 It came in a simple box and when I opened I could find a blue box (no, it’s not a T.A.R.D.I.S. :P) and a letter. And you? What are you waiting for? 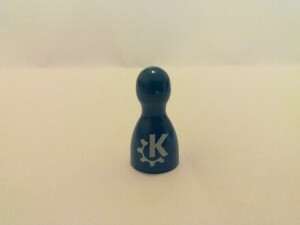 Help KDE and be part of it: Join the Game! Your number^2 – 1. That’s my number. Suddenly it feels kinda high. Personally, I’m just waiting to finish my studies and have a real paid job. But definitely, I want that piece to play the ludo game 🙂 (well, I will need several memberships to form a team…). 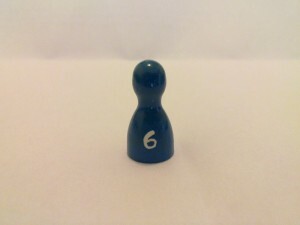 It would be great one day to gather all members with their own playing pieces. Personally, I’m just waiting to finish my studies and have a real paid job. But definitely, I want that piece to play the ludo game 🙂 (well, I will need several memberships to form my own team…). I wish I could find time to donate my services. Thanks for the heads-up on this Arturo. One way or another I’ll contribute! Not just a number in signature in forums or a web page “card” name on it but physical object and car what can be placed to wallet or even frames to the wall! I tried it on opera (10.61) and I did not find any bug. The site is working nicely apart from that scrollbar.